THUGWIDOW - "God of Light"
Thugwidow is dark, gritty drum and bass with outer space tendencies. It may remind the listener of all the vintage drum and bass we used to listen to in the middle of the night, log ago. All the formulas are there - kicking rhythms, driving electronica, and an impending feeling of foreboding. Barcelona band Degraey thunders back on the scene with their sophomore release Reveries-a sweet dream/brutal nightmare of slow-burning post-metal. At almost an hour long with only six tracks, Reveries organically waxes and wanes from mellow shoe gaze to raucous rock; from clean, melodic vocals to tormented screams. 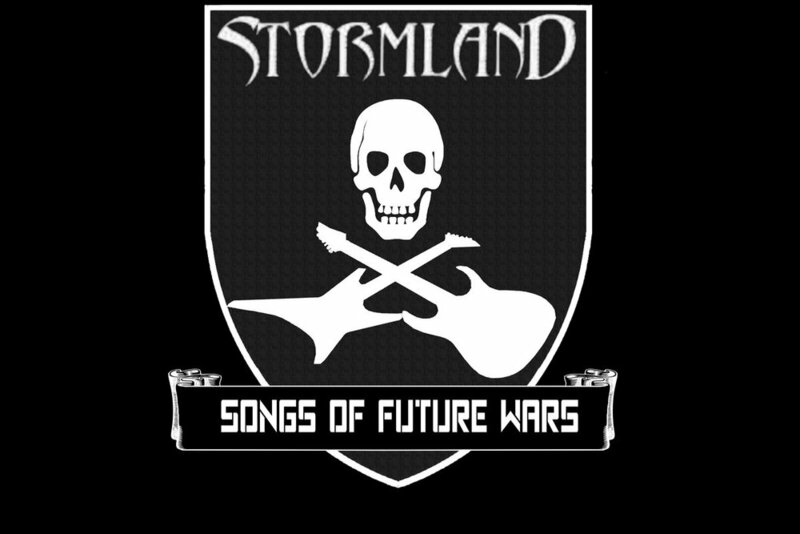 Stormland - "Songs of Future Wars"
If Heraclitus were alive today, he would surely be headbanging to Songs of Future Wars, the first full-length release from Stormland. Forged in the harsh, icy climes of British Columbia, this sonic sacrifice supplicates the god of war for chaos, mayhem and a swift victory! All in screeching speed-metal style! The opening salvo Blitz Fatality (GAT-X207) straight brutalizes your earholes right out the gate with blast beats and breathless, staccato vocals à la Slayer in their 80's glory. Instead of a four-piece band though, all this aggression and fury spews from just one man, bedroom-metal mastermind Justin Pierrot. Pierrot turns the intensity all the way up to 11 and keeps it there for the entire album. It thrashes from start to finish with searing, shred-a-licious guitar solos, grooving breakdowns and gravelly vocals that growl at sub-bass lows and bark at demon-shrill highs. At the very end, the release turns soft and introspective with the metal ballad Psychic Causality (MSZ-06). Here Pierrot contemplates the hollowness of victory when the victor loses his humanity in the process. Although speed and thrash heavy, Songs of Future Wars mixes in elements of doom, grindcore and death metal for a sound that’s 100% Stormland. It is the perfect soundtrack for conflicts of the past, present or future. It speaks to the warrior spirit in all of us and gives it a safe outlet that doesn’t require storming a beach head or laying waste to a city. I still wouldn’t recommend listening to it during rush hour though. It may amplify feelings of road rage and aggression. Sultans of stoner rock Weed Demon spark up the jams (and maybe something else) for a special vinyl release of their 2017 Astrological Passages. This release represents the very best of the stoner metal genre, and the track Primordial Genocide exemplifies this. It burns slow at almost 9 minutes long with sludgy Black Sabbath-espue riffs and raspy baritone growls and chants accentuated by the occasional banshee shriek. Oh, and don’t forget the absolutely bitching instrumental section that starts at around 3:03. I guarantee you will be playing air guitar along with the solo. As far as aesthetics go, the track titles, lyrical imagery and album artwork distills all the best stoner “what-ifs” that have ever been thought of while passing around the bong. In many a basement and toke-up spot, the title of the aforementioned Primordial Genocide will definitely launch many a spaced-out soliloquy on the existence of prehistoric advanced civilizations. While you tell me more about that, why don’t you go ahead and click the link to pre-order this beautiful vinyl release? The ancient aliens will greatly appreciate it. P.S. Be sure to check out Jettisoned. Let’s just say the harmonica has been taken to another level of cool in my book. 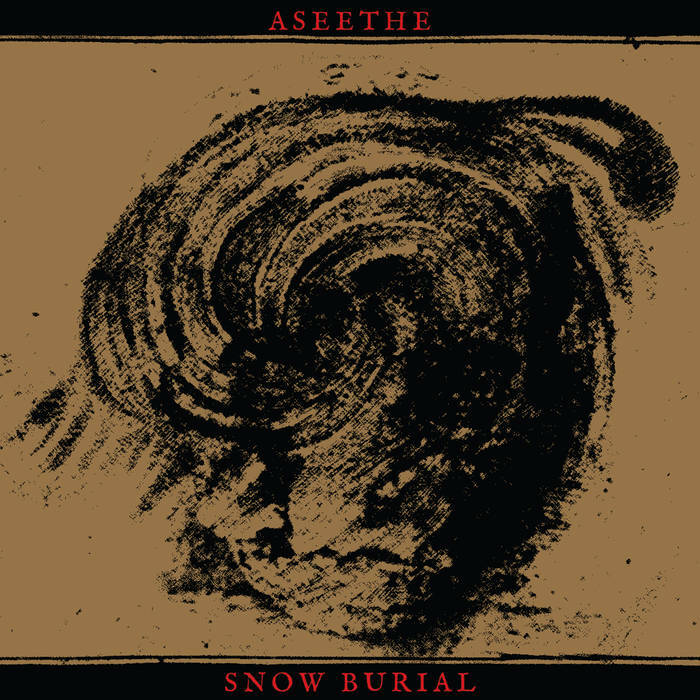 Midwestern doom rockers Aseethe team up with Chi-town post-metaliers Snow Burial for a short but hard-hitting split tape. Hold on to your butts for this one because it’s one hell of a ride! Aseethe mires you in the sludge of doom and despair with the slow and heavy throb of bass, guitar and drums congealing into a swampy morass; a morass that slowly smothers and suffocates any remaining hope in your soul. The vocals shift between sub-bass growls and shrill, hellish shrieks-both equally soul crushing. A surprise near the end awaits you that will completely submerge you in the mire of your own failings. Well, I don’t want to give the whole show away! Though only two tracks total, this split tape packs the punch of a proper EP. Let’s hope for more titanic team-ups from these two hard rock colossi. Although, I’m not sure if the earth could bear another monstrous mashup.